The world has seen an unprecedented and unparalleled economic growth of one country since 1980 and that is China. The countries and the people have been awed by the voraciousness of the Chinese economy and its trade surplus against other countries and have been admonishing for it to slow down. With the slowdown of the Chinese economy, their wishes seem to have come true and in a way, welcome. Though the wish of many countries may have come true but the fact of the matter is that a major slowdown of Chinese economy could spell a doom for many and could result into a major economic crisis the world over ultimately causing damage to every major economy in the world. After seeing probably the fastest economic growth in the history of mankind, the Chinese Govt. is trying to come to terms with what is inevitable, i.e. a fall has to come after every rise. The efforts are on to minimize the damage because of this slowdown by bring in structural reforms which involve improving exchange rates as well as the taxes. The senior economist at Jerome Levy Forecasting Centre, New York, Robert King says that Chinese policy makers seem to be accepting the economic slowdown but the road for the same is not going to be smooth. Though the move may be very dangerous, but as per analysts, the Chinese Govt. doesn’t seem to have many choices and may have to accept the fact of slowing down of their economy. 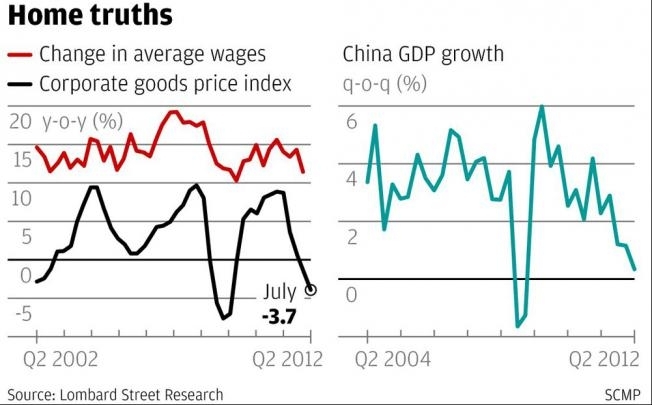 The signs are visible that the present economic model of China may have outlived its utility. China had pumped in a huge amount of cash for building factories and laying roads and by employing millions of poor Chinese people in the manufacturing of blue jeans and iPads for getting an unprecedented economic growth. But toady China is staring at wasted resources, credit collapse as well as instability of financial sector of the country along with global partnerships that are faltering. The Chinese seem to be accepting the economic slowdown and look to be ready to bear a little pain in the short term for the long term benefit of its people and its economy but till now the visible structural reforms can’t be seen and hence the recovery doesn’t seem to be imminent in their case. The International Monetary Fund in its annual report tabled earlier this month states that the economy of the world as a whole is slowing down but unlike other countries, they don’t see a bounce back in the Chinese economy in the near future. The prediction charts of the IMF show a slowdown for the year 2012 for industrialized nations as well as the emerging economies, a flat year in 2013 and a bounce back in 2014 but the same is not predicted for Chinese economy and the result of the same could be quite disastrous for all their partners the world over.